Should you file-single, joint, or married filing separately-for federal income tax purposes during the pendency of your divorce/separation proceedings? 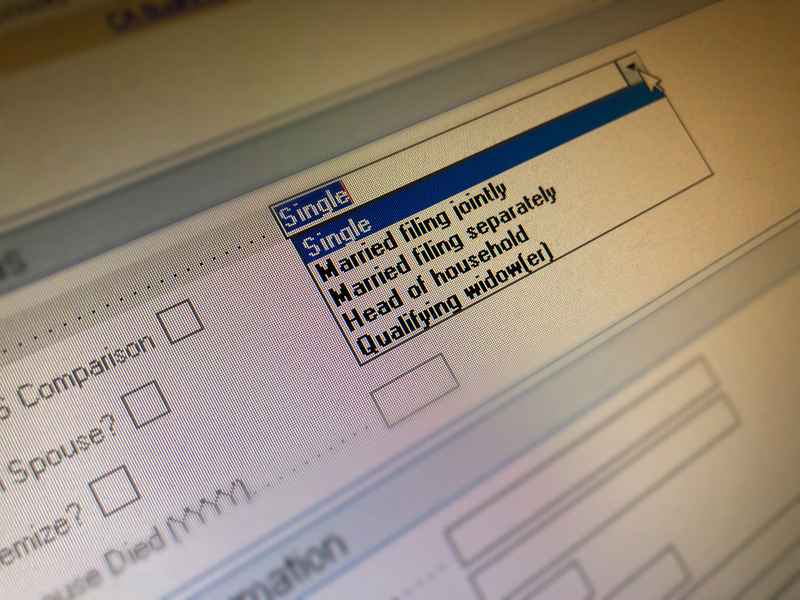 In general, your filing status depends on your marital status, and your marital status depends upon your status under state law. If, as of the end of the tax year, there has been issued a “final” decree of divorce or you are legally separated under a “final” decree of separate maintenance, then you are no longer married and must file as a single person (except that if you live with one or more children and pay more than half the cost of running the household, you may qualify for head of household filing status). During the last six months of the year, your spouse isn’t a member of that household. Note if both you and your spouse meet these tests (e.g., you have more than one child and each has custody of a child), both of you can qualify to file as unmarried. If only one meets the tests, then the other, non-qualifying, spouse will have to file as married filing separately. Be aware that if you are treated as married under the above rules (that is, there has been no final court decree and you don’t qualify under the special tests discussed above) the married filing separately filing status often yields a less favorable tax liability. However, in some cases filing a joint return may be impractical depending on the nature of the separation. Alternatively you may choose to file separately, if you made deductible alimony payments. As alimony payments are not deductible on a joint return. Finally if a joint return is filed, both spouses are generally liable for the tax. This means that if IRS audits the return and determines a deficiency, you could be liable for all the additional tax, interest and penalties even if the problems with the return related to your ex-spouse. In that event, however, you may be relieved of liability for a tax understatement that is attributable to erroneous items of your spouse if you didn’t know or have reason to know about them, meet some other requirements, and elect relief within two years after IRS first tries to collect the tax from you. Once you are divorced or legally separated (or you and your spouse have not resided in the same household for a full year) you also may elect to limit your liability for joint returns you have already filed to the portion of the tax deficiency that is allocable to you. To qualify, you must not have actually known of the deficiency when you signed the joint return, and elect this relief no later than two years after IRS begins collection activities. I usually recommend that divorcing spouses make this election as soon as they are eligible to if there has been an understatement of tax on a joint return.